With the help of latest intelligent computing and image optimization technology, it can improve the image quality and output sharper videos. 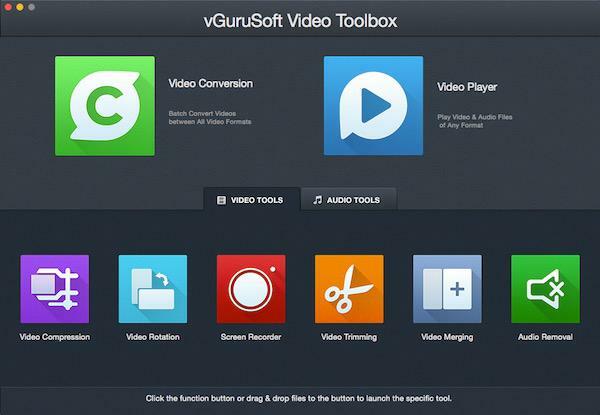 Total Video Tools is integrated with many video editing tools to cut, merge, split, rotate and play videos. Moreover, Screen Recorder helps users to easily record videos. Audio Normalization Tool is able to adjust batch music files of any audio format to the same volume level. vGuruSoft Video Downloader for Mac is a high-speed Mac video downloader to batch download videos/audios from YouTube, Facebook, Livestream and more than 1000 streaming sites on Mac. Videos being downloaded can be with different resolutions (SD&HD) according to user's wish. 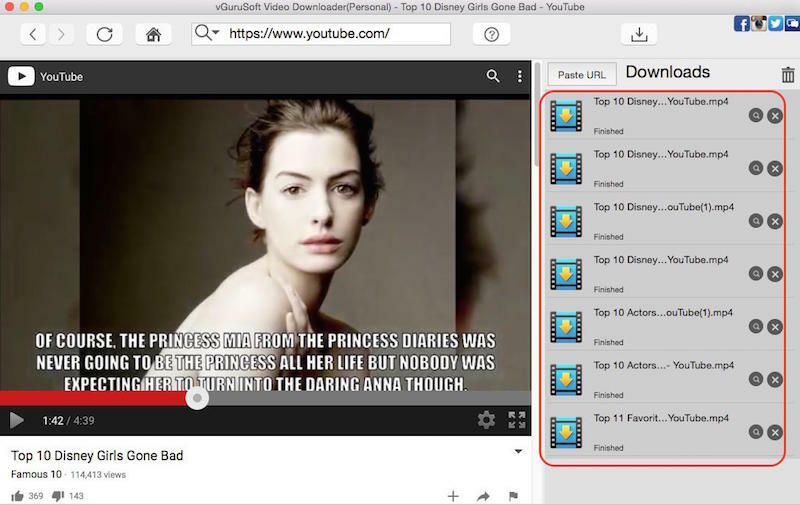 Users can simply download YouTube videos with vGuruSoft Video Downloader for Mac. All they need to do is that play the target videos in this fast Mac video downloader. 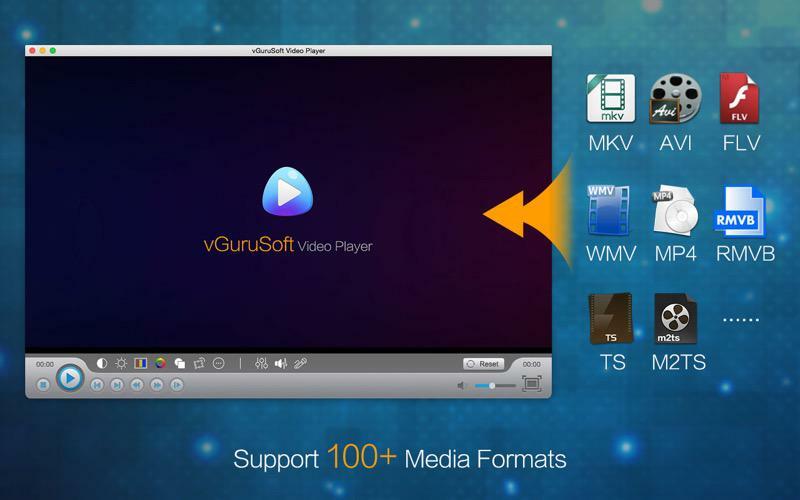 vGuruSoft Video Player for Mac is a excellent media player for Mac to play any video and music on Mac. With this Mac video player, users are capable of playing 4K videos seamlessly on Mac and freely enjoy HD movies like never before. Moreover, vGuruSoft Video Player for Mac allows user to import a wide range of media files and smoothly play them with less CPU occupation, even for large video files, such as AVCHD videos and 4K ultra HD movies. Simpe-to-use but very powerful video player for Mac to play any movie and music file on Mac with ease.